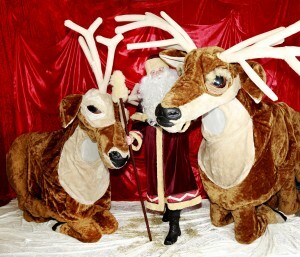 NEW Giant reindeer puppets available with Santa, Mr & Mrs Santa, Cheeky Elf, Helga the Herder. 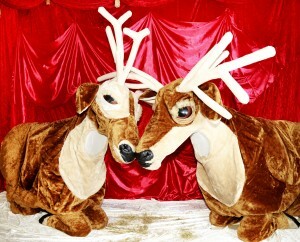 All the way from Lapland, amazingly interactive and cheeky, fluffy Christmas reindeer will bring a smile to everyone’s Christmas time. 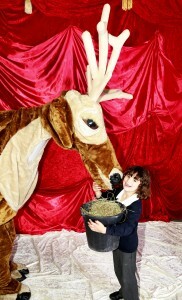 These reindeer have great visual impact and have a magical effect on people, especially children. 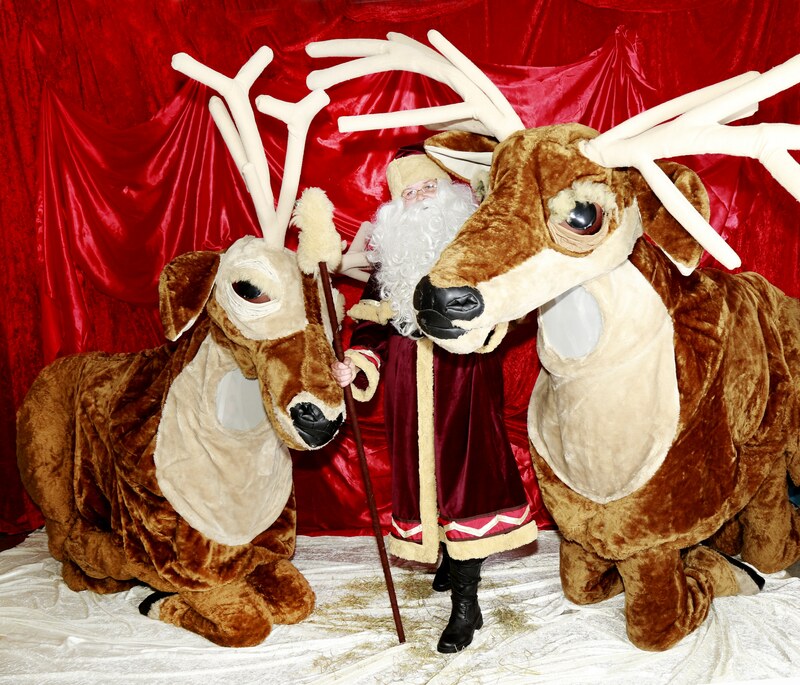 They have been a hit wherever they’ve been and enchanted people in: shopping centres, parades, corporate photo booths – Hilton Park Lane, family charity events and any Christmas celebration. They love a little dance when they get excited and really enjoy being fed and stroked. Unlike their real counterparts they don’t leave little surprises for people to clean up, nor do they bite but they may pass a little excited wind if you get too close to their hind quarters! Available in different combinations to make affordable for smaller budgets too. 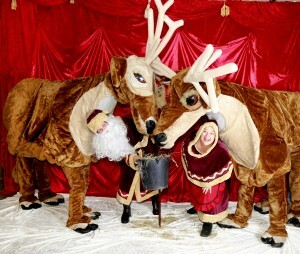 No animals were harmed in the making of this walkabout!